Target is hands down one of my favorite stores to shop at. I've been shopping at Target since the early 2000s. I remember it like it was yesterday the first time I stepped into a Target store. Everything about the store I love and I adore the changes that they've been making lately. Over the years I've learned from trial and error ways to save. The ibotta App is a wonderful resource for saving money. Whether the items are on sale, you can search and scan the time on the ibotta app to see if the item is on sale. Target marks down items on a weekly basis. My local Target typically markdowns up to 70% off. During the holidays it's up to 90% off. Of course, theirs, no grantee that the items that you want will stay in stock long enough to be marked down. Target changes their sale items each week on Sunday. It's such a great way to save on everyday items that you love. Target gives you five cents for each reusable bag you bring. You're saving money while protecting the environment. I'm in love with the Cartwheel app. The CartWheel app was launched a couple of years ago. One of my favorite features is the coupons and discounts on the app. You simply have to search or scan the barcode to see if they currently have any offers or if the product is on sale. This is something I have a ton for myself and I've saved so much money over the years. Make sure to check the price matching policy. I've learned that depending on the time of year Target does not price match. I believe one of the times that they do not offer price matching is during black Friday. Oh girl i looooove the ibotta app! Yes, I do all of these! I love Target, and I also love to save. I've saved so much with Ibotta and Cartwheel. Plus I love when their stuff goes 70% off. Thanks for all these tips! I shop at Target all the time, so I know I'll make use of them. Will have to send this to my daughter. She loves shopping at Target so I know she will learn a bunch from all of this. 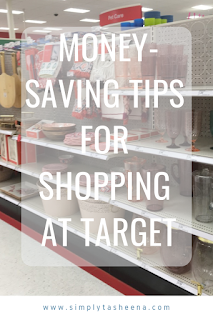 I do shop at Target and these are all great ways to save money. I'm always on the lookout for good, practical money saving tips. One of my favorites at Target is the dollar bin. Always looking for more tips though!! I did not know the target gave you five cents off for each bag that you have with you. That is awesome. I'm going to start doing that. These are great tips. It is great to have these apps to save a lot of money. I got the app and am loving it! I have been going to all my local Targets looking for amazing clearance deals! I love shopping at Target! I always check the end caps for clearance stuff and always check my Cartwheel App to see if I get a percent off anything I'm buying! And I have the debit card so I always save 5%! 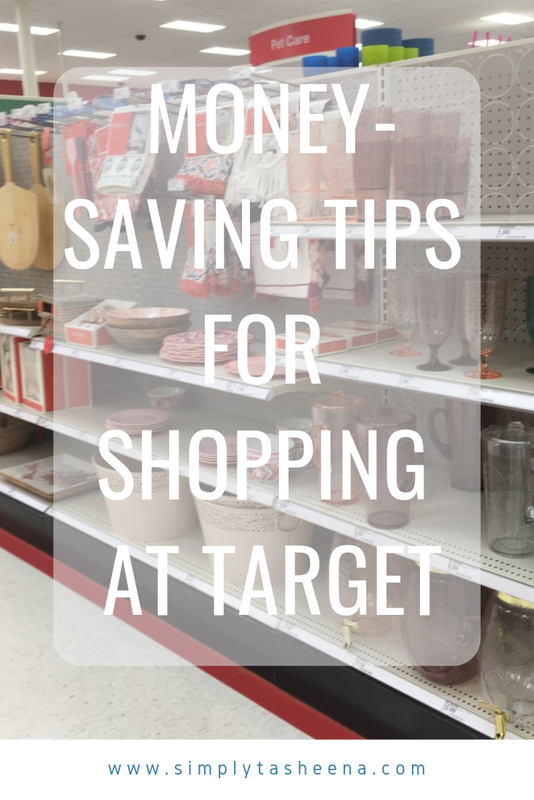 It sounds like there are some great ways to save while you shop at Target. I have to admit that is one of the shops I wish we had over here. Target has the best clearance. I have found some killer deals in their markdown stuff before. These are some great tips for shopping at Target. Sometimes they seem to have good deals. It's good to know the ins and outs of it. Thanks for sharing! I'm going to Target tomorrow. Now I'm prepared! Thanks for the tips. Thank you for the helpful hacks that you shares. I like saving money when I go shopping and these are great advice! we have only shopped at Target once. The closest store from our location is an hour away. I love your money saving tips for Target. I'm going to share with my Target shopping friends. Thanks for all these tips! I love Target! I can't wait to use your tips! I like your post & I will always be coming frequently to read more of your post. I am sharing viral Nexter web site this blog with you for more news. Thank you very much for your post once more.